Homes here offer a diverse selection of floor plans. Hidden Hills AZ Real Estate has three custom gated neighborhoods. Hidden Hills also has two phases (phase 2 is gated) of semi-custom homes (1900 sq.ft. to over 3500 sq.ft.) with some of the most innovative and liveable floorplans developed in the last decade. Although there are still some custom lots yet to be built upon, the last of the semi-customs homes were completed in early 2006. Hidden Hills homes still feel new and have a quality of construction and uniqueness of design that will enable this community to have a lasting value. ONCE FOUND, NEVER FORGOTTEN "There is a place where mountains rise to meet the sky. Where the sight of birds taking wing, the scent of sage on the breeze, and the sound of desert serenity lift the spirit. Where those who dream of a life above the ordinary will find some of Scottsdale's last prime view homesites. Move up to Hidden Hills AZ Real Estate." Hidden Hills AZ Real Estate is nestled into the McDowell Sonora Preserve, which is 36,400 acres of land that is protected and preserved for "a sustainable natural desert habitat for wildlife, desert flora, and appropriate public use”. This means to live in Hidden Hills is to live in unspoiled natural beauty. Hidden Hills offers the quality and craftsmanship of Golden Heritage Homes, with a choice of twelve exciting floorplans in three series. Phase 1 includes homes in the Desert Series and the Canyon Series. Phase 2, a gated community, includes homes from the Desert Series, the Canyon Series and the Arroyo Series. In addition, three different elevations and numerous exterior color choices allows the community to have more of a custom neighborhood feel than typical production home communities. The Hidden Hills AZ Real Estate community offers spectacular mountain and city light views from many of the homesites. Production homes were built by Golden Heritage and are of superior construction and offer some of the most innovative floor plans offered in the Scottsdale area. The most popular models have private interior courtyards, great rooms and luxurious bathrooms. Phase 2 of the production homes is gated. There are also 3 gated custom home neighborhoods within Hidden Hills AZ Real Estate. Some of the area’s best hiking and equestrian trails are located around this community. Sunrise Trail is a terrific trail that winds through the mountains (if you choose to hike the entire trail it is 4.4 miles one way). It has a 2,850 foot elevation with spectacular 360 degree views of the Valley and cities to the South, East and West. In fact, most people who chose to live in Hidden Hills were first drawn there by the beauty of the mountains. Hidden Hills Real Estate is also a "dark sky" community, and allows fantastic clear night skies and great star gazing. The words often repeated by people who live here are beauty, peaceful, quiet, and tranquil. Many of the homes in Hidden Hills back up to NAOS (Natural Area Open Space) or to the McDowell Mountain Preserve. Hidden Hills AZ Real Estate is located in the north eastern Shea Corridor in a little valleyat the base of the McDowell Mountains. Although just 12 minutes from the 101 Freeway Loop,Hidden Hills provides asetting of lush desert vegetation and quiet stillness where you feelfar removedfromthe hub of the Phoenix metro area. 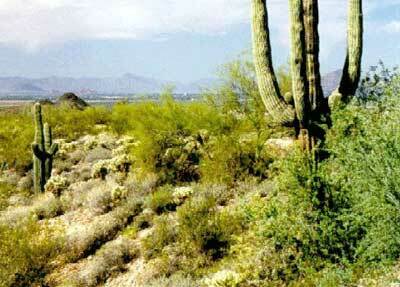 Scottsdale Arizona Real Estate: enjoy the lifestyle of this outstanding area. Own your own special home in this paradise called HIDDEN HILLS in Scottsdale AZ. The real estate is some of the “best” in the country, and our weather and lifestyle is hard to match. Whether relocating to the Scottsdale AZ area or moving within the Valley of the Sun, Bill Slack, Realtor (Broker, MBA) has the local knowledge and experience to make your real estate experience the best. Bill has lived in Scottsdale, Arizona for over 16 years and is very knowledgeable about HIDDEN HILLS, AZ (He currently lives in Hidden Hills, AZ) and many other communities. Let Bill locate the perfect Hidden Hills home for you. When you decide to buy Scottsdale AZ Real Estate, (whether it's Hidden Hills AZ Real Estate or some other premium Scottsdale AZ Real estate) be prepared to live amidst some of the most renowned luxury resorts and spas, championship golf courses, gorgeous homes, and natural desert beauty in the world. With all these amenities at your fingertips you’ll be living in paradise.